Virtually unknown in Canada, and certainly unheralded, Dr. Norman Bethune was magnified and glorified by Mao and Chinese communists who declared him a national hero. Bethune was not in China to help humanity. It was not sick people he tended, but wounded communist soldiers. So Canadians became conditioned to the idea that by publicly revering Bethune, it gave them an advantage with the Chinese. The irony is that were Bethune alive, he'd be outraged and horrified at how he is manipulated. An article in the Toronto Star quotes Treasury Board President Tony Clement: "When Chinese schoolchildren are taught about the value of helping humanity, the story they are told is the Norman Bethune story." There are a couple of aspects of this quote that are worth examining. Dr. Norman Bethune was born in 1890 in Gravenhurst, Ont., which is a part of the Parry Sound-Muskoka riding represented by MP Clement. 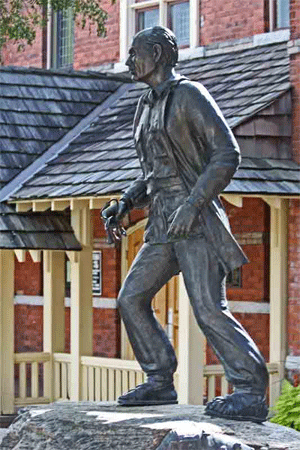 Bethune lived the first three years of his life in Gravenhurst, but has become something of a cottage industry for the town when it was realized the Chinese had elevated him to icon status. He's become a tourist attraction for Chinese visitors. The house where he was born has been declared a Heritage site, and when she was Governor-General, Adrienne Clarkson unveiled a statue of him. Gravenhurst tourist bumpf advertises: "Home of a hero!" The Chinese donated a statue to Bethune in Montreal (where he lived for eight years), and China itself is loaded with statues to him, ever since Mao Zedong wrote a tribute to him, and designated him as an official hero of Communism. As in his life, controversy clings to Bethune in death. Crusty, nasty-tempered, impatient, and a heavy drinker though he was (or became), as a medical doctor he was ahead of his time and genuinely saw "socialized" medicine as the way to go. After serving briefly as a stretcher-bearer in WWI, he completed his medical degree at the University of Toronto, and then joined the Royal Navy as a surgeon-lieutenant. In 1935 he joined the Communist Party and in 1936 went to the Spanish civil war where he developed battlefield blood transfusions that cut down deaths caused by loss of blood. 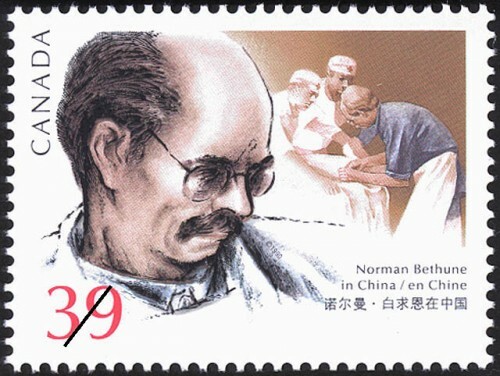 Bethune's real fame occurred after he went to China to serve as a doctor for Mao Zedong's guerrilla army. He nicked his finger during an operation and subsequently died of blood poisoning, leaving a death-bed message for Tim Buck, who headed Canada's communist party. Virtually unknown in Canada, and certainly unheralded, Bethune was magnified and glorified by Mao and Chinese communists who declared him a national hero. In the mid-1960s, the Canadian government suddenly realized that Bethune's name was useful in selling wheat to China -- the first billion-dollar contract signed at that time. While Bethune is a genuine hero to Chinese and other communists, his links to Canada are only that he was born and educated here. Tony Clement's view of Bethune's story impressing Chinese children of the "value of helping humanity" is something of a stretch, since everything China does is based on helping themselves. 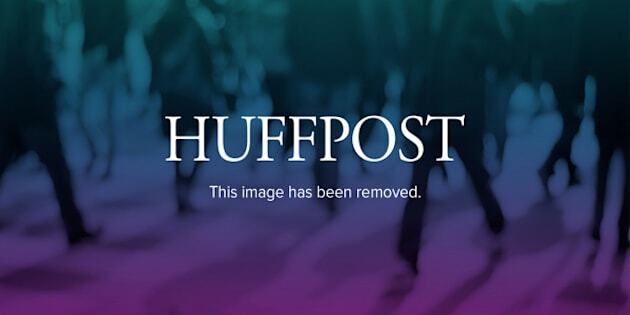 What the Chinese regime has done for humanity is obscure. Self-interest is the motivation of the present Chinese regime, be it selling body parts of people executed for crimes, or even the body parts of dissidents (as claimed by the Falun Gong meditationists). Or selling unwanted girl babies to foreigners willing to pay, or kidnapping and imprisoning expatriots from neighboring countries. This is hardly "helping humanity." Bethune was not in China to help humanity, but to help Mao's communist army. It was not sick people he tended, but wounded communist soldiers. Around 1970, China seemed to realize that their deification of Bethune had commercial and psychological value in dealing with Canada. Every time a Canadian political or trade delegation visited China, they got the homage to Bethune treatment. Even Canadian tourists were subjected to it. Canadians became conditioned to the idea that by publicly revering Bethune, it gave them an advantage with the Chinese -- while the Chinese felt similarly the other way around. I recall meeting with Michel Gauvin in Beijing -- Canada's ambassador to China at the time. I knew Gauvin (since deceased) when he was ambassador to Lebanon and Greece, and also when he was a member of the International Control Commission (ICC) in Vietnam, reporting on cease fire violations. as Canada's ambassador, where China's foreign minister proposed a toast to Norman Bethune. After the dinner Gauvin discreetly buttonholed the foreign Minister. "I would appreciate it," he said, "if for the duration of my time in China as Canada's ambassador, there be no more toasts in my presence to Dr. Bethune. I feel I must tell you that I do not consider Dr. Bethune a Canadian patriot, but hostile to the values of my country." Gauvin said the foreign minister stared at him for a moment, then broke into a big grin of understanding. "It was the last time the Chinese mentioned Dr. Bethune's name in my presence," recalled Gauvin. All of which indicates that the Chinese knew perfectly well what they were doing when they brought up Dr. Bethune's name in dealings with Canadians. The same can probably be said of Gravenhurst's relatively recent fixation on Norman Bethune -- it's good for business, he's a tourist attraction to be exploited. This time by capitalism. The irony is that were Bethune alive, he'd be outraged and horrified at how he is manipulated -- by communists to get deals with capitalists, and by capitalists to be favoured by communists.